If you find that your internet connection, in Windows 8, Windows 7 or Windows Vista, has suddenly stopped working or that you are facing certain Network and Internet connection problems, here are a few troubleshooting steps you may want to try! 1] IPConfig is a tool built into Windows, that displays all current TCP/IP network configuration values and refreshes Dynamic Host Configuration Protocol DHCP and Domain Name System DNS settings. You can access this tool via the command line. If you have a bad IP address, then renewing your IP address this way may help solve your internet problems. Type cmd in start search and press Ctrl-Shift-Enter. If you wish, just out of curiosity, you may type ipconfig and hit Enter, to view the status of the computer’s Internet Protocol or IP address. Type ipconfig /release to let go of the current IP address. Next type ipconfig /renew to obtain a new IP address. If you get an error Message When You Run the “Ipconfig /Renew” Command see KB810606. If you recurrently face this problem, then you can have it renewed on every start-up, by creating the following .bat file and placing it in your startup folder. Save it as, say, iprenew.bat file. 2] Frequently, internet connection problems can also be traced to a corrupted DNS cache. Resetting or Flushing this cache is an easy fix to many of these problems. This is how you can flush Windows DNS cache in Windows 8, Windows 7 or Windows Vista. Windows IP Configuration. Successfully flushed the DNS Resolver Cache. Next type ipconfig /registerdns and hit Enter. 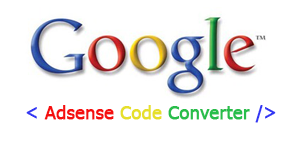 This registers any DNS records that you or some programs may have recorded in your Hosts file. Just in case you are interested, to view the complete syntax for this command type ipconfig /help and hit Enter! 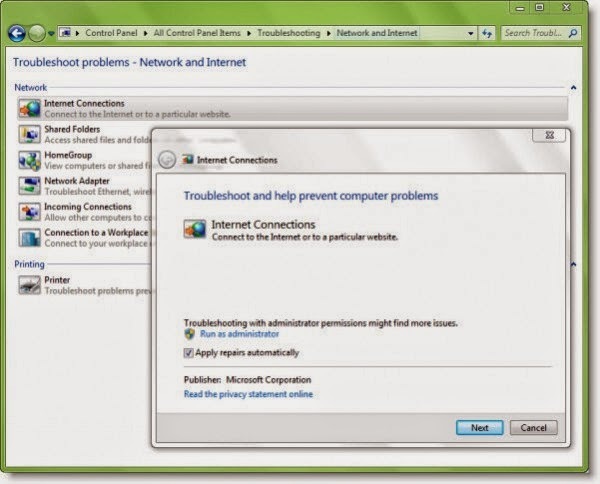 3] The Network & Internet Diagnostic & Repair Tool in Windows 8, Windows 7 & Windows Vista will help you identify the potential issues preventing network connectivity, and it automatically takes appropriate steps toward correcting them. If a computer on the network loses Internet connectivity, you can graphically see which connection is down and then use Network Diagnostics to help determine the cause of the problem and find possible solutions. To access it, open Control Panel > Network & Sharing Center. In the lower part, click on Troubleshoot Problems. From the windows which opens, you can select Internet Connections or any other issue you want to troubleshoot and repair. 4] Enable or Disable IPv6 to solve Internet connectivity problems in Windows 8. 10] Try NetChecker or Computer Internet Tool.